Before you can attend open sessions here, we'll need your details on our register. We recommend saving time by doing this online here, otherwise you'll need to do it upon arrival. Please note this link is not for booking on to any skate lessons. Mondays 4.30-6.30pm and Saturdays 10am-12am. Ages 13-16. If you want to take Drama seriously, doing full length plays and learning proper technique then our two hour weekly sessions will really get you going. Run by award winning theatre director Tanushka Marah, there is an emphasis on making original work as well as learning how to work from scipts. We do bold challenging work which stretches you as an artist. With two public performances a year and links to the industry this is a great theatre company to join so why not try a taster session for free? Please visit www.windmillyoungactors.com for more information. Come try this art form which mixes acrobatic movements, dance, music, combat and respect for one another. 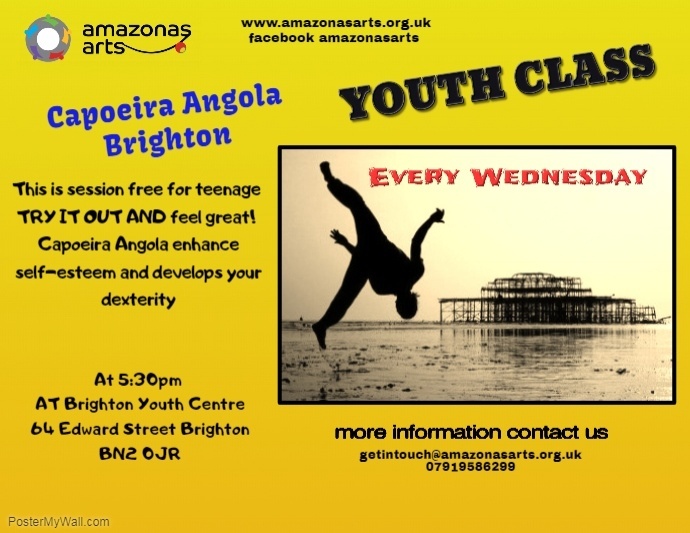 Capoiera promotes art, fitness, confidence, co-ordination, agility and gives you the chance to meet lots of other people. Open and free for all young people, no matter your level of fitness. Stage Studio is a weekly theatre school, combining all aspects of singing, acting and dancing for 6 – 18 year olds. They provide the opportunity to train with an exciting team of industry professionals in a fun and friendly environment. Please visit www.stagestudio.co.uk for more information.